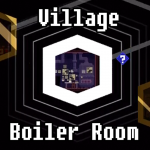 This area will serve as an introduction to the rest of the guide. You’ll note you probably don’t need the myriad pictures and instructions for this easy of an area, but they’re here! That is, for the early part of the game, not everything is at it seems here. 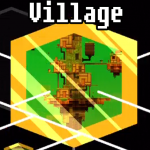 The Village includes all things attached to the starting area including all locations leading up to the big central hub. You’ll know it when you see it. Key – The chest in the main village area, which the game all but directs you to, next to the fellow with the monocle. Treasure Chest – Enter the locked door to find the boiler room. Key – Just below Treasure is the second key! This time you won’t be needing to use it two seconds later. Also, your first puzzle! Yaaay! Simple stuff here, and be prepared for much of this throughout the game. When you enter the room, you’ll see an empty fireplace. Stand in front of it, then rotate the world 180*. Then, just walk out the other side! Genius, right? Pick up the chest for the key. 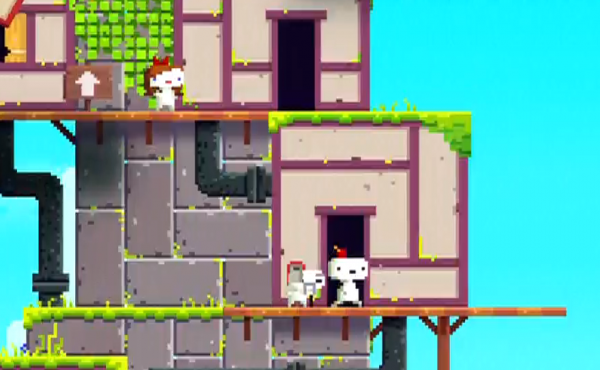 Cube – This cube is your first set of bits, all accumulated within the Village. After collecting all the bits, you should be done with the Village. Head out the bottom of the map through the door and off to the next area! Cube – This place is easy pants! Just climb the tower, get the bits, get a cube! You’re done here, won’t be back for quite some time. Move on over to the Main Hub guide. Welcome to your first SPOILER ZONE! 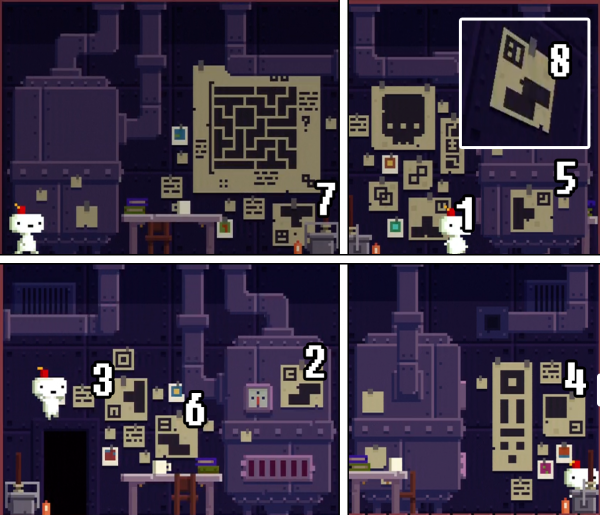 Every area has a spoiler zone, beyond which you will very likely not be able to solve each puzzle without knowledge acquired later in the game. 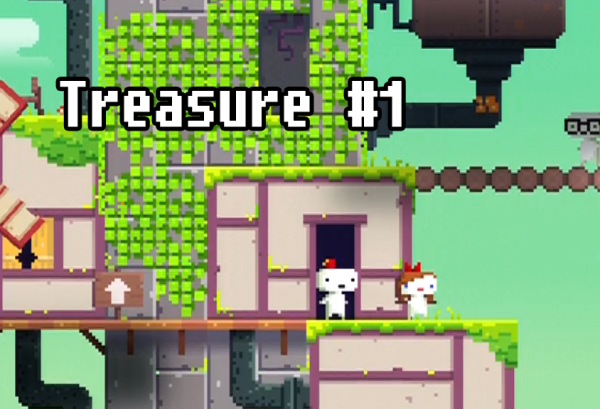 We welcome you to read on and solve every place as you enter it, but some of the magic of Fez is figuring it out yourself. If you cannot, however, we have solutions. With that, enjoy this SPOILER ZONE alert, prepared by Gomez himself. 3D Anti-Cube – In the boiler room you’ll note the Shift Cipher drawn on several sheets of paper along with number codes. The order seems to be up, shift right, left, jump, right, shift left, down, but you’ll note that does not work.